Sonnig 991‘s debut for free-to-download giants Business Casual does not feel like a first attempt. Instead, the aptly named Mallsoft Oddysey oozes with confidence and high-risk, high-reward bets throughout its runtime, showcasing a rare level of maturity, particularly for a newcomer. The result is a satisfying, at times challenging adventure for those looking to explore rich soundscapes and deeply layered textures born out of solid ideas. It’s experimental, never reckless and, ultimately, a resounding success. In theory, the album classifies as Vaporwave. In reality, it’s an amalgamation of many different styles, often escaping single-word classification in the conventional sense. Mallsoft Oddysey often grasps a Space Opera feel, as evidenced in BERLIN WINDOWS SHOPPING PT. IV. The track features an ethereal synth melody, devoid of a steady beat. Towards the end, Sonnig draws from the Tame Impala songbook ‘all this running around/bearing down on my shoulders’ to dramatic effect. At times, pop-oriented beats are on display as seen on Elemental and its infectious bassline, and the beach-party-sounding WaveJam. Midiscape mixes full-on vaporwave synth work with a delicious drum section for a smooth, jazzy feel. This jazzy feel, by the way, represents a recurrent feature throughout the album with cuts such as The Weather Channel and Sublimaze that sound as absolutely perfect tracks for a strong session of deep work or study. 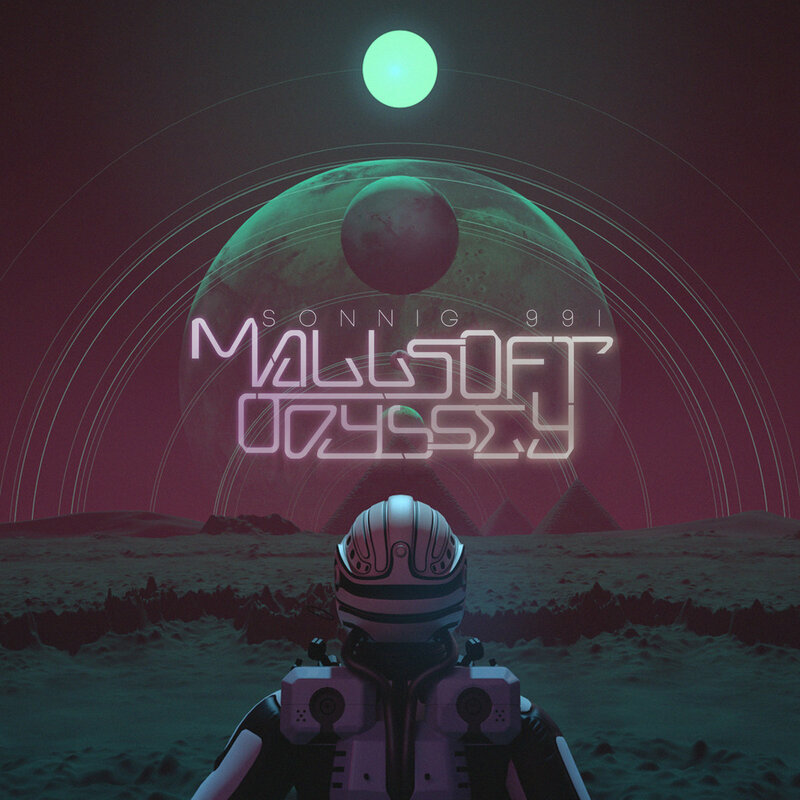 Mallsoft Oddysey is a strong, compelling all-around album. A reason to disconnect from the world and dive deep into a rewarding journey through the mind of a promising producer. Put on your best pair of headphones and open your mind – you’re in for a treat. Favorite tracks: ELEMENTAL, MIDISCAPE, THE DISH, BERLIN WINDOWS SHOPPING PTS. I & II, BERLIN WINDOWS SHOPPING PT. III.